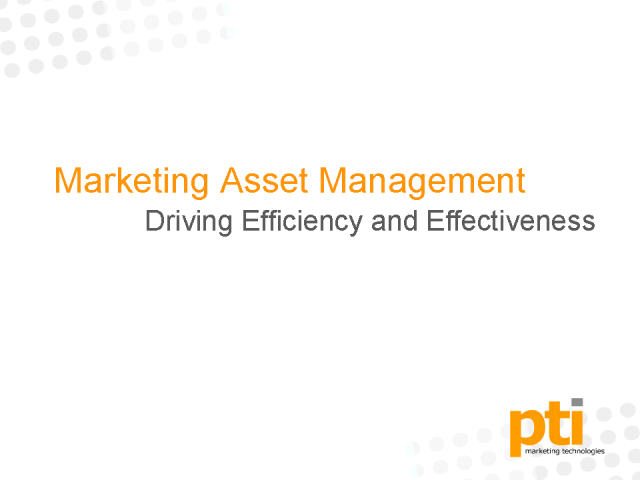 Marketing asset management has become an essential component of a marketing organization's efficiency and effectiveness. In this month's FREE 30 minute webinar, Dustin Ritter, Director of Marketing for Printable Technologies will show us how a web-based corporate marketing portal can provide a repository of corporate-approved, customizable marketing resources that empower designers, product managers, sales representatives, partners, and vendors to build or modify marketing materials based on approved editorial and legal guidelines. Join us at 1pm Eastern on Thursday, August 26th for this quick look at the latest technologies available to centrally manage marketing materials and allow users to access, create, and manage resources and digital assets while protecting the integrity of an organization's brand.